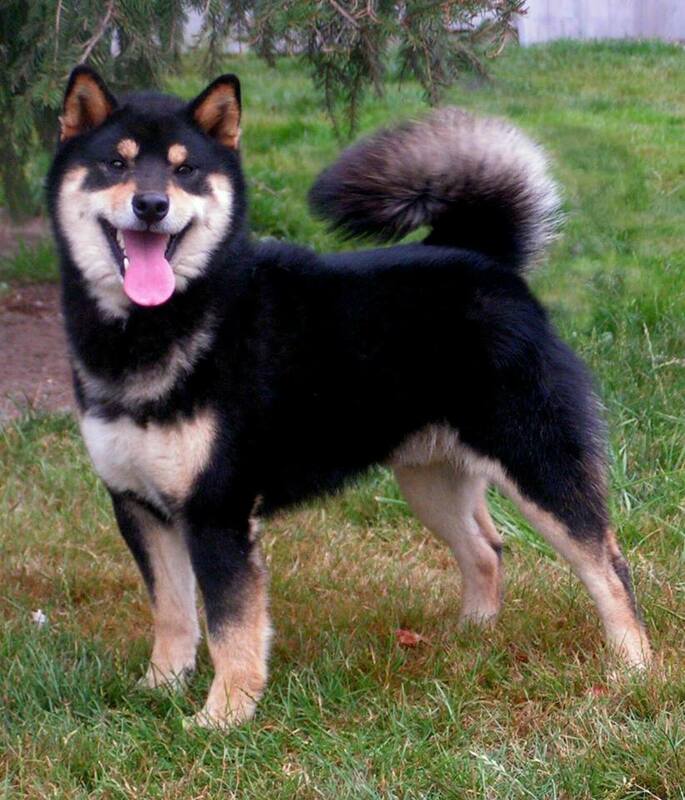 We are Cheri Fellinger & Marcel Marckelbach the proud owners of Kawako Shiba Inus. We are the humble stewards of this wonderful breed with a hobby breeding program focusing on temperament, trainability, health & beauty. We have been training & showing dogs for 30+ years and we have the experience to produce well bred, properly raised and socialized puppies, youngsters and trained adult dogs. 23 years working with and breeding Shibas with 37+ years experience in all phases of dog training, breeding, showing, etc. The breed suits our lifestyles well and we enjoy all the idiosyncrasies. 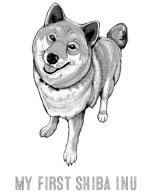 We have been successful with Shibas and it is the only breed we show and breed now. Yes, we show in conformation mostly but my dogs are highly trained as far as manners and being obedient and we dabble in some events like barn hunt, carting and obedience. Yes, my husband and I both belong to NSCA and our local Evergreen Shiba Inu Club. I do OFA hips, knees, cardiac, eyes, dentition and thyroid. I feel that is the minimum any breeder should do before breeding their dogs. We usually do some prelimary (before age 2) screening to make sure we will carry on with showing a young dog. Then we do full OFA testing shortly after the dog reaches 24 months. I provide a picture pedigree of my own design with all the OFA information that goes back several generations on my own breedings as well as the dogs in the pedigree that are screened. Basic OFA tests is required on any males I use. I also give the website address of OFA & Chic on information I provide with the puppy sales contract. 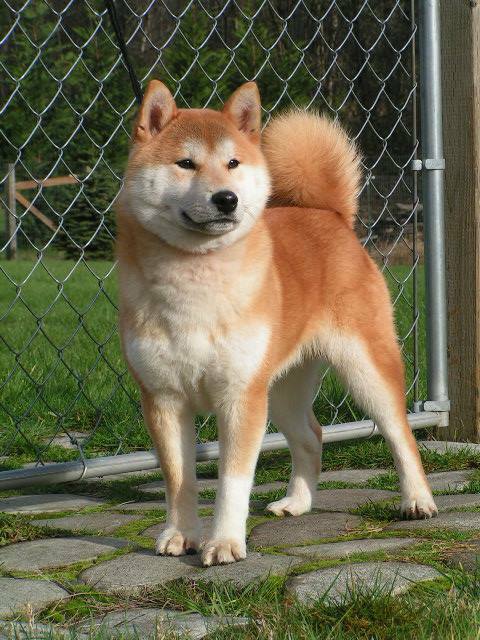 In your opinion, what are the most important physical and temperamental traits of a quality Shiba Inu? First, a good temperament means a dog will always be loved. Also, trainability & the ability to deal with stress should be developed by the breeder during the puppy's infancy. This makes a HUGE difference in adult behavior. Secondly health is important. With new findings that diet, over-vaccination and environmental toxins have been causing much illness in companion animals it is hard for breeders to influence what happens with a puppy's health once it leaves their care. We can only encourage buyers to follow the advice we give and study up on the new wave of healthcare. Third is type and beauty. I truly believe that all NSCA breeders seek to produce well adjusted dogs in good health with beautiful looks as pets for families. 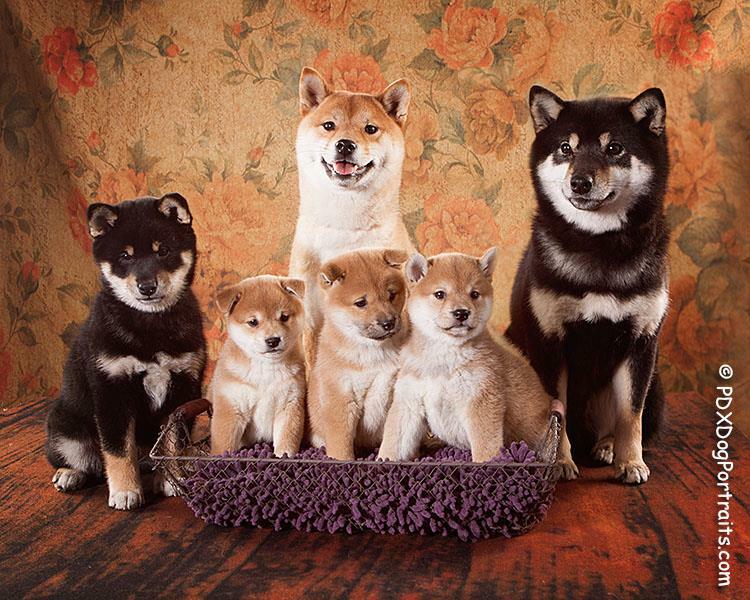 Most breeders don't keep Shibas as strictly kennel dogs, they are personal pets as well as show dogs. 7. ​For those interested in purchasing a puppy from you, what are the requirements? I really want to get to know these people first. We won't sell puppies to anyone we wouldn't want as friends. We sell our puppies by reservation only so people will be waiting for their puppy and I wan to see and hearenthusiasm during the wait. I want people who are committed to providing the best life possible to one of my babies. They should also be intelligent, quick-witted, open minded & creative thinkers as Shibas present new & interesting challenges every day! A good sense of humor is a plus. I ask if they like cats....that's my trick question. Of course I asks all the basic questions during conversations via email and telephone conversations before I invite people over to meet our dogs. I can assess a lot by the way the family interacts with my well behaved Shibas. If I think it would be a good match I then ask for pictures of their home and sometimes we go visit their home with a couple of dogs. Then I can make suggestions on blocking doors with baby gates etc. Good fences make good dogs. Shibas need to burn off steam so exercise must be arranged for all puppies but especially those in condos or apartments. I want to know they have a veterinarian and puppy school lined up. We prefer to sell puppies locally and rarely ship anymore. 7. How do I pick a buyer out of so many inquiries? to meet people face to face and watch them with our dogs. My husband and I are a good team because we ask different questions. At the end of the visit we will address anything we feel might be an issue and see if the family is willing remedy it. After meeting basic requirements like fences, etc., we go a lot on gut feelings about the family. We check their references and do a background check. If everything feels good we offer them the opportunity to leave a deposit for a puppy from a future litter. This system has worked beautifully for many years and we are really happy with our buyers and they are very happy with their Kawako Shiba.